30.09.2013 (Hvino News). "Drink Georgian!" is the simple and catchy slogan of a global community launched recently for the fans of famous Georgian drinks worldwide, as well as for producers, importers and retailers. "Drink Georgian!" (DG!) unites under a single umbrella the Georgian-made wine, spirits, mineral water and soft drinks including the famous lemonades. The mission of "Drink Georgian!" is to offer a platform for people and businesses to show they are fans of Georgian drinks. People who like Georgian wine, spirits, mineral water and soft drinks can simply “like” the community's Facebook page; while companies, government agencies, mass media and other organizations may also display their logos on the project’s website, to show their support. DG! 's website also offers a choice of banners with community' logo for free download. The red square buttons are available in Georgian or in English and in various sizes. They may be copied and pasted to any personal or corporate site or blog without limitations, to raise awareness about the "Drink Georgian!" community. An important marketing advantage of DG! is that it is not directly advocating alcohol consumption. Therefore "Drink Georgian!" is not restricted by laws which impose limits on alcohol advertising, which are in force in some of the world's countries including Russia. Hvino.com, the initiator of "Drink Georgian! ", welcomes cooperation with all organizations, companies, mass media who wish to support the promotion of Georgian products and exports, as well as popularization of Georgian traditional food, drinks, culture, and lifestyle. Inquiries may be sent to our team at Hvino News / Hvino TOUR News. 26.09.2013 (Hvino Tour News). Deputy Finance Minister Giorgi Tabuashvili met with representatives of Spanish investment companies Perfako Group and Metronia. "The companies are interested in investing in the gaming and hotel business. They are interested in business environment that exists in these spheres. During the meeting, they expressed their readiness to consider concrete projects in the near future, together with Georgian partners", - said Giorgi Tabuashvili. The Deputy Finance Minister introduced the economic situation in the country, the business environment, tax policy, as well as the regulation in the field of hotel and gambling to the guests. According to Francis Perez, president of Perfako Group, he is very pleased with the meetings held at the ministries of economy and finance. © HTN (Hvino Tour News) | ■DRINK GEORGIAN! 13.09.2013 (Hvino Tour News). Hilton Worldwide on September 12th announced the signing of two management agreements which mark its entry into Georgia. Flagship brand Hilton Hotels & Resorts will debut in the coastal city of Batumi in summer 2014, whilst Georgian capital Tbilisi will be the location for a mid-market Hilton Garden Inn property in 2016. The two projects are entirely separate with different partners but jointly represent Hilton's arrival into Georgia. Patrick Fitzgibbon, senior vice president, development, Europe & Africa, Hilton Worldwide, said, "Georgia is a growing business and leisure tourism destination and we are delighted to have reached agreement on two separate deals to bring two new world class hotel brands to the country for the first time. Hilton Worldwide is growing across Eastern Europe and we see significant potential to bring quality, branded accommodation to the region." Georgia is enjoying a period of sustained economic growth, driven by its production of sustainable energy and inward foreign investment. Representing a frontier between Europe and Asia, it is a key strategic outpost for businesses seeking to expand further east, and thus benefits from significant demand in the meetings and events sector. 12.09.2013 (Hvino Tour News). EBRD reported that it will allocate loan of $18.7 million for construction of middle-class Hilton Garden Inn in Tbilisi. Concept of the hotel will be developed by Redix Group. The project site is located on Chavchavadze Avenue, close to the city center and major corporate demand generators, and would feature 160 rooms, 1900 square meters of retail space and approximately 80 underground parking units. There are only two international branded hotels in operation in the mid-market segment in Tbilisi and very few in the pipeline. Non-branded mid-market hotels are classified according to the local rating system and the vast majority do not meet international standards. The project will thus improve standards of accommodation and services offered at affordable rates to both leisure and business travelers. 09.09.2013.The years leading up to the August 2008 war between Georgia and Russia saw increasing unrest and a constantly widening rift. In September 1991, the people of Tbilisi in Georgia had already blocked Russian TV and radio signals and had covered or removed signs written in the Russian language. Now, five years after the war is over, Russian troops still patrol in South Ossetia and Abkhazia, two provinces of Georgia. Diplomatic relations between the two countries are nil, and trade agreements are strained. Despite joining the World Trade Organization, Russia still blocks produce from Georgia completely and disallows commercial travel. However, the southern country has found ways of getting around these restrictions and increased Russian tourist numbers to nearly 500,000 visitors this year. First, Georgia has removed visa restrictions for Russians who want to visit. 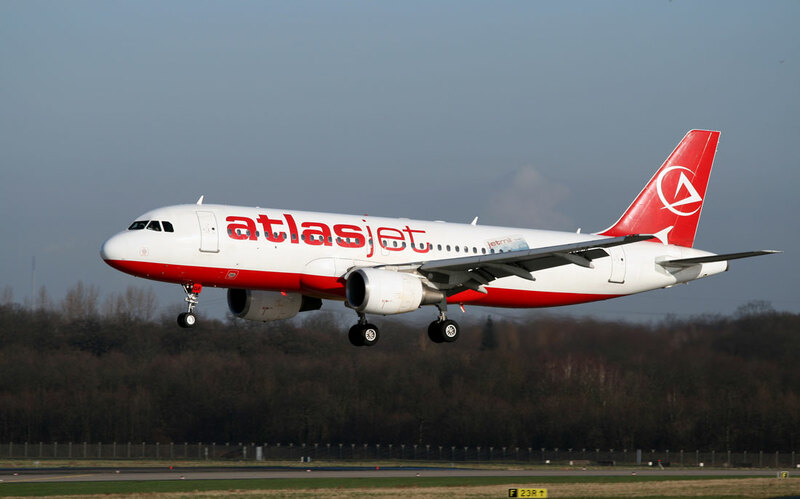 Second, they structure their flights as charters and continue to fly from Moscow to Tbilisi two times every day, and from Moscow to Kutaisi, Georgia's second largest city, three times per week. These measures have made Russians the most common people to visit Georgia for pleasure. 05.09.2013 (Hvino Tour News). According to Geostat, Georgia's official statistics agency, 161 new hotels opened in Georgia in a year. Geostat informs that in 2012 777 hotels and hotel-type facilities were in Georgia, in 2011 - 611. Total number of rooms in 2012 was 14 463 units, in 2011 - 12 901. The agency explains that this data includes legal persons and individual entrepreneurs (including local units and branches), registered as hotel or hotel-type facilities in accordance to Georgian legislation. It's noteworthy that number of hotels has doubled compared to 2007. 8561 persons were employed in the hotels and hotel-type facilities. 02.09.2013 (Hvino Tour News). In 2017, Georgia may host general assembly of the World Tourism Organization, said George Sigua, head of the Georgian National Tourism Administration, during the current assembly session in Zambia and Zimbabwe. Speaking at the plenary session Mr. Sigua talked about the Georgian government's tourism politics, the implemented projects and future plans, as well as the open sky policy and aviation issues. After the presentation, Sigua met with Taleb Rifai, Secretary-General of the Organization. The meeting focused on Mr. Rifai’s possible visit to Georgia, the discussion of Georgia as a host country of General Assembly in 2017 and other topics. During the visit George Sigua also met with the Head of the Russian Tourism Agency Alexander Radkov, Head of the State Agency for Tourism and Resorts of Ukraine Elena Shapovalova, officials of tourism departments from Turkey, Azerbaijan, Czech Republic, Iraq. Sigua received proposal from the Government of Zambia to become the country's honorary consul in Georgia.